412 pages | 10 Color Illus. | 183 B/W Illus. 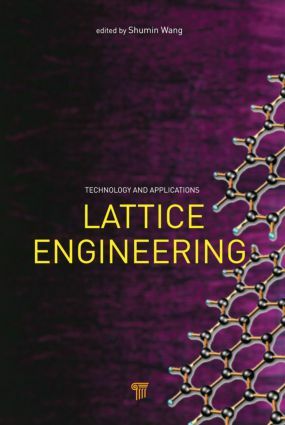 This book contains comprehensive reviews of different technologies to harness lattice mismatch in semiconductor heterostructures and their applications in electronic and optoelectronic devices. While the book is a bit focused on metamorphic epitaxial growth, it also includes other methods like compliant substrate, selective area growth, wafer bonding, heterostructure nanowires, and more. Basic knowledge on dislocations in semiconductors and innovative methods to eliminate threading dislocations are provided, and successful device applications are reviewed. It covers a variety of important semiconductor materials like SiGe, III-V including GaN and nano-wires; epitaxial methods like molecular beam epitaxy and metal organic vapor phase epitaxy; and devices like transistors and lasers etc. Shumin Wang is Professor at Photonics Laboratory, Department of Microtechnology and Nanoscience, Chalmers University of Technology, Sweden. He received BSc and MSc from Department of Physics, Fudan University, China, in 1985 and 1988, respectively, and PhD from Department of Physics, Gothenburg University, Sweden, in 1994. He has been then working at Chalmers University of Technology, Sweden, since 1994, and was promoted to Associate Professor and Professor in 1999 and 2008, respectively.